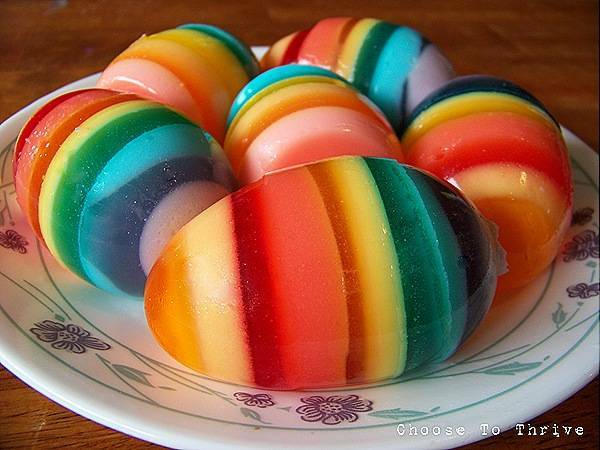 Two years ago, I bought a Jello egg mold with grand hopes that it will mold and form beautiful rainbow-striped Jello eggs. After mixing endless bowls of different flavored Jello, the project flopped terribly. The eggs didn’t set properly and I ended up with shattered Jello eggs that wouldn’t hold their shape. I called it a lost cause and put the mold away thinking I would never use it again. Fast forward two years and I unearthed the egg mold while digging through my cake pans. Since Easter is around the corner, I called it fate and contemplated a way to use it. It didn’t come easy, but in the end I finally thought of an original idea. An idea that was original until this moment when I googled it and saw that 7 hours ago someone beat me to the punch!! NOOOO! Le sigh. Well original or not, these eggs look so much like the real thing at first glance it’s a little weird to eat them. But you need to, because encased in the chocolate egg is the most heavenly bite of tiramisu. It’s adorable and let’s be honest, it’s a little fun freaking out people. Place white chocolate in a microwave safe bowl/cup with a spout. Melt the white chocolate melts in the microwave in 15 second intervals until completely melted. Thoroughly spray the inside of your egg mold with a non-stick cooking spray. 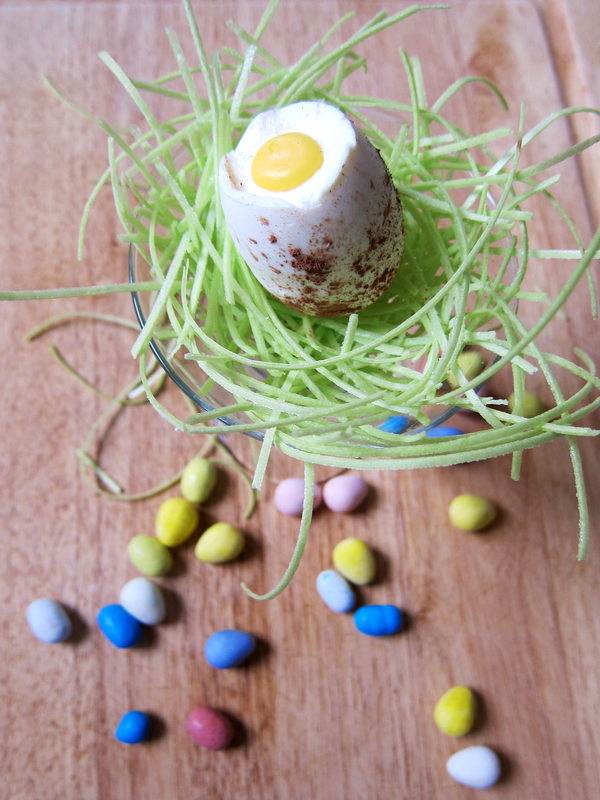 Use the spout of your bowl/cup to pour white chocolate into the egg about ¼ of the way. Punch out ½ -⅔ in circles of the prepared lady fingers. Place Mascarpone cream into a piping bag fitted with a ¼ in. plain piping tip. Take the eggs out of the freezer and carefully unmold the chocolate. It may stick a little. Just wiggle it around and it should come out in one piece. 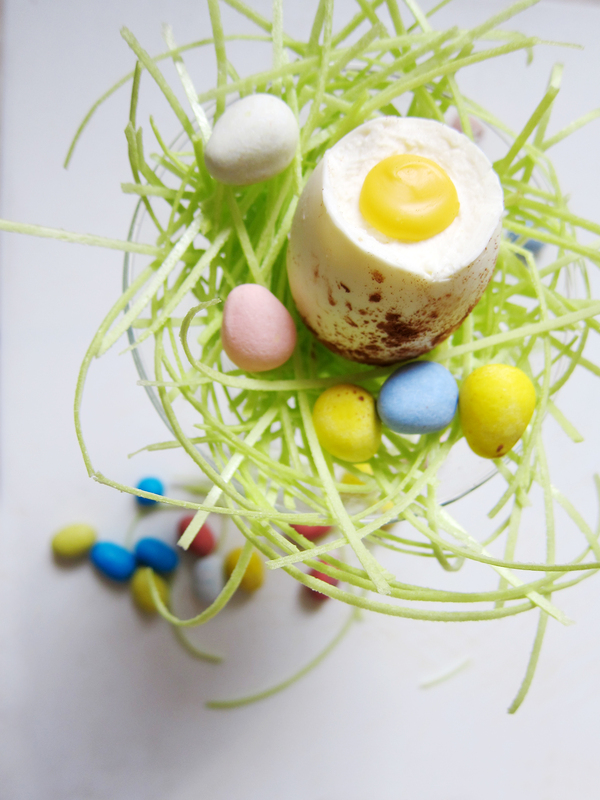 Place the eggs back into the bottom half of the egg mold, and put about a teaspoon of the mascarpone cream inside. Layer one piece of the lady finger and with a small pastry brush, brush coffee onto the lady finger to soak it. Place a second piece of lady finger on top and brush coffee again. Layer another teaspoon of mascarpone cream, and repeat step 11. Layer the final teaspoon of mascarpone cream and let set in freezer. 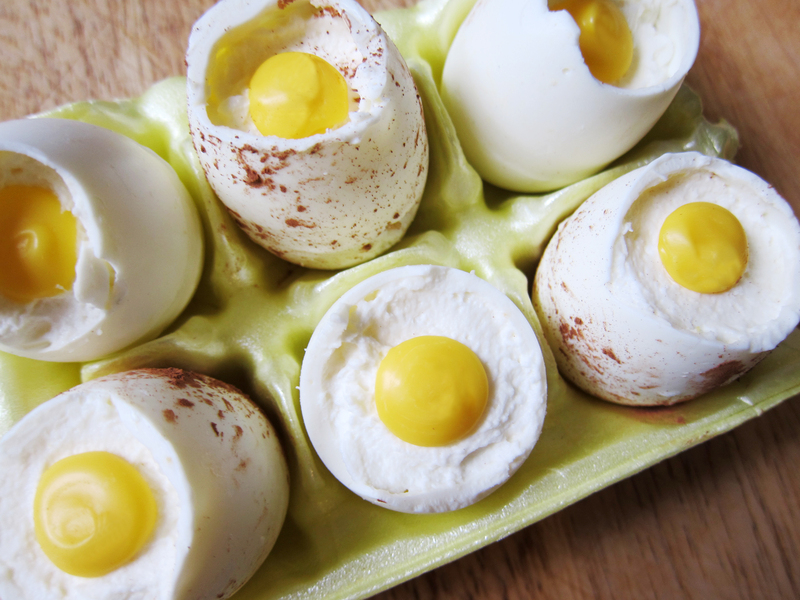 Take the chocolate out of the freezer and squeeze a dollop of yellow chocolate melts to imitate the yolk. Preheat oven to 350 degrees Fahrenheit and prepare a sheet pan lined with parchment paper or a silicone mat. In a stand mixer bowl fitted with the whisk attachment, whip egg whites until foamy. Slowly add in 2 tablespoons of sugar and continue whisking until stiff, glossy peaks form. Empty the egg whites in a separate bowl. Place 2 egg yolks and 4 tablespoons sugar into the mixer bowl and mix until pale and very thick. Fold in the remaining whipped egg whites 1/3 at a time. Spread the batter onto prepared sheet pan to about ¼ inch thick. In a cold stand mixer bowl fitted with the whisk attachment, whip the heavy cream until soft peaks form. Sift in the powdered sugar and mix until just incorporated. Add the mascarpone cheese and mix until stiff peaks form. * If you do not own a Jello egg mold, you can always take a shortcut and order pre-made hollow chocolate eggs from Amazon. If you do this, start from step 7. ** This process is messy. Don’t let that get you down! *** If you do not have a squeeze bottle, you can always just spoon on the chocolate. This entry was posted in Chocolate, Coffee, Desserts, Holidays and tagged chocolate, coffee, dessert, easter, egg, Jello, tiramisu. Bookmark the permalink.